Lakelands FC suffer defeat to Beech Park. 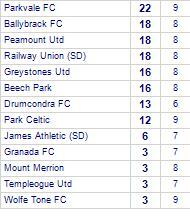 Templeogue Utd (SD) lose to Beech Park. 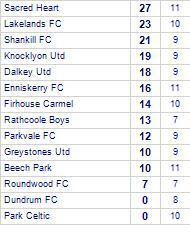 Drumcondra FC draw with Beech Park. James Athletic (SD) claim victory against Beech Park. 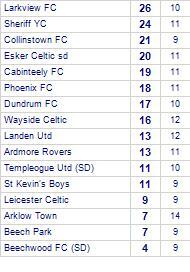 Beech Park are defeated by Collinstown FC. 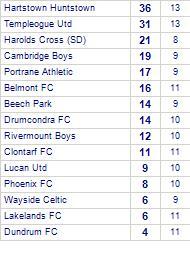 Beech Park have yet to win at home.